Go through your house and decide what you want to sell. Don’t forget games, clothes, furniture, kitchenware, and kids’ sports equipment and toys. What may seem like junk to you, might be treasure for someone else! Most people go with Friday and Saturday mornings. The most popular times are Friday and Saturday from 6 a.m. to early afternoon. You may want to have an alternate day if rain is in the forecast. Advertise the sale on online sites, such as Craigslist, Kijjiji or make posters and post them around your neighborhood. Use brightly colored posters with large, bold text with large directional arrows to direct people into your neighborhood. Be sure to put the date, time and location of the sale. You’ll need chairs to sit on, a table or other flat surface to take payments and provide change, and plenty of areas to display your goods. Also, make sure you have a safe place to keep the money and coins to give change to your customers! Price the items to sell. People shop garage sales because they’re looking for bargains. It’s a good idea to mark every item clearly, masking tape and a sharpie work well. If you don’t know the value of an item, check wbsites like Amazon, Ebay or Kijjiji. Sell as much as possible. Remember, the more you sell the less you have to pack away again. Be willing to accept lower offers for those hard to sell items, especially if it is something that will end up collecting dust in your home. Give yourself at least an hour before the garage sale starts to set everything out and put up signs. Make sure you have your change in a safe place, and find a comfortable, shaded area to sit. Wear sunscreen, drink lots of water and keep snacks handy. 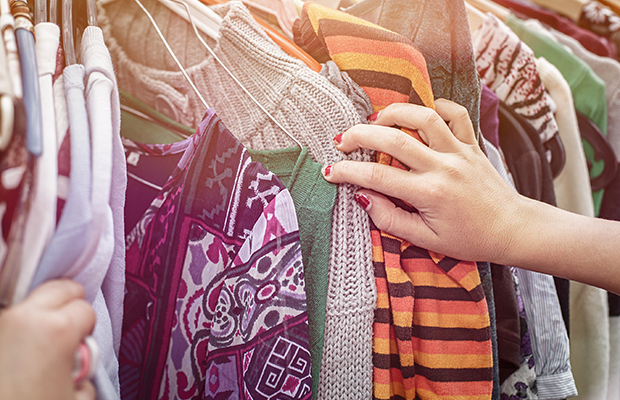 Declutter your closets and donate all the plastic bags and empty boxes to your yard sale. This has two advantages, diverts waste from the landfill and helps your customers carry their purchases to their car more easily. If you have kids toys, games or clothes for sale, have them stay at that table. They can also help by fetching newspaper, bags and boxes to wrap sold items. 10. What about the stuff that does not sell? The most convenient way to be rid of the remaining item’s, is to donate them to your favorite charity. If you have some items that you don’t want to donate and still want to sell, check into a consignment shop or investigate ebay or Craigslist. Most importantly, do your best to have fun and the more organized you are, the more fun it will be!